Herbalizer and Flowerpot are some of the Best Desktop Vaporizers for hobbyists as they are characterized by the great vapor production, quality designs and a stellar performance achieved by their modern designs. These units look similar in performance; many people may be wondering who the real winner is among these vaporizers. Well, let’s assess the battle and then decide accordingly to see that which deserves your attention. Herbalizer, although launched later, has earned its way into the mainstream to compete with the industry’s long-standing brands such as Volcano. Many people tout it as the potential Volcano replacer and so do I.
Herbalizer matches the performance of the Volcano vaporizer and even surpasses it in some features. Volcano, for instance, focuses its drawing method more on vape bags while Herbalizer offers you the versatility of using the whip and bags. But, Volcano still remains a favorite brand despite its exorbitant price. Herbalizer also matches that price tag. enticing features thanks to the e-nail controller. FlowerPot comes in two variances: the VROD and the Showerhead. The model gives you great array of choices to suit your preferences. Price wise, both FlowerPot and Herbalizer are expensive models with FlowerPot costing $30 more than Herbalizer sold at $599. In assessing the competitiveness of these vaporizers, we’ll take into account the performance, quality, design, ease of use, maintenance and the value. My first battle analysis is in the performance as the perfect indicator of the real winner. 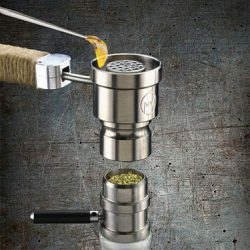 Herbalizer, for instance, leaves users astonished by its unmatched performance in giving a rich vapor experience using various drawing methods including the Steamroller accessory sold separately. Thanks to the 16-bit 32MHz microprocessor which enhances the performance of this vaporizer. The ergonomic heat settings in Herbalizer improve its performance. You can customize how you get the vapor according to your mood swings; you are in the driver’s seat of how it performs. Whether you need aromatherapy or vaportherapy, the Herbalizer can give you both at the tap of the button. 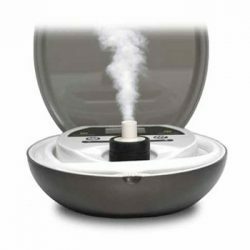 In addition to letting you draw the vapor in versatile methods, it lets you diffuse essential oils in your room to enhance therapeutic benefits. Also noteworthy to the performance of Herbalizer is its halogen heating element which heats the mixture of herbs and concentrates in a few minutes. It makes filling the bag an absolute breeze. All you have to do is to prepare the mixture and let the unit do the rest once preset. FlowerPot comes in two variances that still offer a great performance. It lets you enjoy oils and flowers in a portable design with maximum airflow. You may opt for any of the variances of FlowerPot to suit your vapor preference. 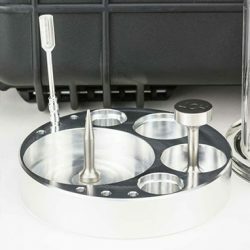 The VROD lets you enjoy a multi-dish variance. Like the Herbalizer’s 32MHz microprocessor, FlowerPot comes with the e-nail PID controller (inhaler controller). The controls are within reach with arrows and buttons to enhance the performance. Temperature settings are easy from lower to moderate to higher. While higher temperature heat the mixture faster, I enjoy the moderate temperatures as they do not compromise the richness of the vape. These units are all impressive. But, taking into account overall features, Herbalizer emerges victorious. From precise temperature control to its whip & balloon system, it wins the performance battle. The quality battle is between the German and the US designs. Both units are pretty impressive with quality components but there is an ultimate winner. FlowerPot is made of titanium and aluminum components which give it an edge of quality over many vaporizers. Each component was made with precision as it feels so premium in hands. FlowerPot bowl also embraces an unparalleled quality thanks to the variety of titanium, double weave titanium and the stainless steel. You may opt for all of these varieties to get a taste of each. Because of the premium quality that the FlowerPot has, rest assured that the vape quality isn’t compromised. New Vape is renowned for top notch quality in their vaporizers hence FlowerPot lives up to that. The company has seriously put a limit on plastic components as they higher their number the less the quality. Now, on Herbalizer, it also feels so premium in hands with its components made of glass and stainless steel. The whip tube is made of silicone which is also a great quality. I personally do not think Herbalizer matches the amazing quality of the FlowerPot. Remember to change the balloon bag every 2 months in the Herbalizer, an inconvenience we don’t have in the FlowerPot. Herbalizer is made of quality materials and thus it feels so premium in hands. It surely lasts for many years but you have to continue maintaining it to retain its quality. Its whip tube is made of silicone while other components are made of glass and stainless steel. Herbalizer is nonetheless one of the best vaporizers. But, comparing its design to that of the FlowerPot, I see the likelihood of its breakage as it has lots of electronics such as the LCD display. Its design is attributed to the expertise and excellence of former NASA engineers. Everyone, even a beginner, can enjoy the intuitiveness of FlowerPot vaporizer. No special draw techniques you need to learn. Your only concern could be mastering the e-nail controller which lets you control the unit electronically. It isn’t difficult either to maneuver this electronic component so you can set temperature parameters. The other ease of use factor is how you prepare your herbs and concentrates in this unit. You may put from 0.05 to 0.5 grams of mixtures in the bowl and then heat to enjoy a rich vape. 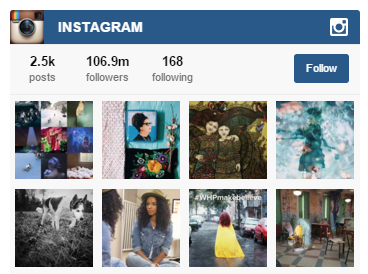 While FlowerPot looks so simplistic, it is not really the best out there. Herbalizer is undoubtedly one of the most simplistic models; it lets you enjoy different drawing techniques. Well, a novice user may not find it that attractive but I do. FlowerPot limits your draw techniques while Herbalizer lets you enjoy the traditional whip style, freestyle mode, steamroller system and the balloon bag. Isn’t that enough to convince you? Unless you’re uptight, you should find Herbalizer easy to use. With the squeeze valve you can put your favorite vape in the balloon bag. Volcano surpasses the Herbalizer with the balloon bag filling rate and the capacity. 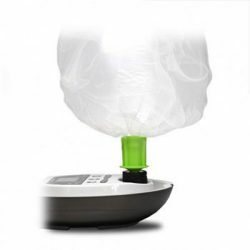 Simply fill your Herbalizer balloon bag with vape to inhale while the desktop unit is left in the kitchen. Although sold separately, Herbalizer can also be used with the steam roller system for your convenience. The freestyle mode lets you enjoy the vape with your companions by pre-filling the room with either the scent or the concentrates. 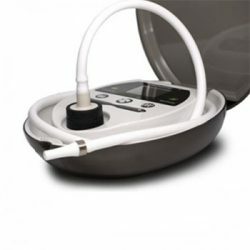 To add again, Herbalizer has the options: aromatherapy and vaportherapy, which I find very convenient even for patients in need of therapeutic benefits. In short, Herbalizer is a product of innovation. Its design is reflective of the expertise and excellence of the former NASA Engineers behind it. Vaporizers may share features or even compete in performance; however, the designs always shows who’s the innovative guy. So, who is more innovative? Although FlowerPot comes as a bundle and comes in two varieties: VROD and Showerhead, it is a portable design you would enjoy holding while vaping. It shows a perfect craftsmanship with no afterthought components. On top of that, all accessories are included. Herbalizer is something else. Although it is not really the best of the best in the industry, it surely surpasses the FlowerPot while the Extreme Q also gives it a tough match in the design; well, personal preference. Herbalizer is an oval-shaped vaporizer with the enclosed storage for your accessories. It is really an intuitive design with visible command buttons upon opening it. At a first glance, it seems unbelievable that such an oval unit can come with all the accessories. It only excludes the steamroller accessory. More points to the Herbalizer due to its variable drawing techniques. It features the whip style, freestyle, steamroller and the balloon bag option. Both units, FlowerPot and Herbalizer, are impressive; however, Herbalizer emerges victorious. Herbalizer and FlowerPot are not really difficult to maintain. I know that maintenance is everyone’s nightmare. You probably want to prepare your mixture, inhale and store the vaporizer thereafter. residues pile up in these units and your duty is to ensure that they are cleaned accordingly. Herbalizer, although needless to reiterate, comes with varying drawing methods which differ in maintenance. You may have to flush the whip with water to ensure that no residue buildup. The other components are also cleanable with the water. The other concern would be the balloon bag which needs to be replaced every other 2 months. I wish it were that easy to wash it and use. With such an expensive price already, you have to accommodate extra costs for bag replacements. This seems so stressful to use the Herbalizer. With FlowerPot you still have to take care of its components: that is, clean the bowl, and other components that are in contact with the vapor as the buildup is possible. Nonetheless, it isn’t much of the hassle. An alcohol wipe can solve your problems. If need be, you may disassemble the unit for a thorough cleaning. But I don’t really see the need unless the vapor quality has deteriorated for a prolonged time. FlowerPot comes as a bundle with the accessories you need to enjoy your vape. Whether you opt for the VROD or showerhead model, all the accessories are provided. But, is that the best value ever? Undoubtedly, the price tag is a setback. Nonetheless, there is a sense in this pricing considering how premium and how performing the unit is. Herbalizer, on the other hand, comes with lots of inhaling options. Opt for the freestyle mode to fill up the room with the vape or opt for the additional steamroller mode even though sold separately. Like the affordable Extreme Q, Herbalizer comes with the whip and balloon bag options. There is, therefore, a great value in the Herbalizer. No wonder it is touted as the Volcano killer, Herbalizer has what it takes to be crowned the king of vaporizers. Looking at its oval design, it is also impressive with intuitive electronics to control the unit. 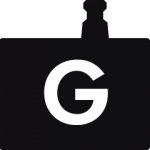 Choose between aromatherapy and vaportherapy to personalize how you get the vape or the scents. There is more value in the Herbalizer than FlowerPot. These vaporizers have their strong points where they emerge victorious. FlowerPot has a portable design that is easy to maintain. Unfortunately, the FlowerPot does not offer versatility in drawing methods like Herbalizer does. For these reasons, the Herbalizer is more specialized. Herbalizer offers traditional whip, steamroller mode, freestyle mode and the balloon bag mode. It is a multifunctional unit. Who or which is the ultimate winner? Although the battle has turned out to be real with only subtle differences, Herbalizer has proved to be the king with only Volcano challenging it to almost infinitesimal differences. The performance is great and, furthermore, the unit brings more value and versatility. Whether you prefer aromatherapy or vaportherapy, Herbalizer satisfies your need. You can inhale using the whip, balloon bag, steamroller system or freestyle mode. FlowerPot is also a great vaporizer that is worth the price it is charged. However, it is not as versatile as Herbalizer. The good thing though; you won’t have to be concerned about replacing the balloon bag or maintaining it intensively. 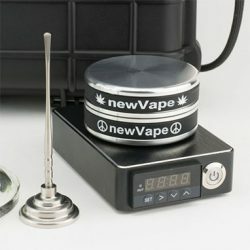 Herbalizer and FlowerPot are part of a wide range of vaporizers with unique features. You may have a look at our Top 10 Best Desktop Vaporizers on the market. Our list has a broad range of vaporizers you can choose from, either based on features or the price tag. If you are on a tight budget, why not consider the Extreme Q vaporizer. It offers you the choice between the balloon bag and the whip. Its price stands around $170, which is way cheaper than Herbalizer and FlowerPot. 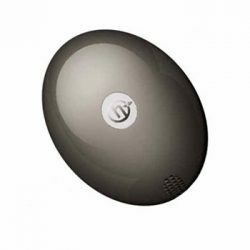 If you are like iPhone users, that is, you are obsessed about a well-established brand, then Volcano could be your best buy despite it having the balloon bag while Herbalizer has more varieties. Vaping has taken the world by storm. With the rapid development of this new technology, millions of people are switching to this healthier, more economic method of smoking. It’s clear that this movement is here to stay and we’re committed to being right at the forefront of it.